It is no surprise to me that its uptake over the last three decades or so that it's been generically available has been limited compared to injection molding process simulation. The latter process involves very high-cost tooling, with (typically) many weeks of lead-time and is highly complex, impossible-to-see and susceptible to hugely expensive mistakes. In contrast, most thermoforming projects require low-cost, short lead-time, relatively simple tooling and you can see the forming process in real time. 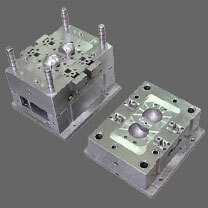 Mistakes of poor tooling and/or part design can be relatively quickly resolved. Ratios of cost of simulation studies to total capital expenditure are much more favorable for injection molding than thermoforming. Ditto for time of simulation studies to total lead-time before appearance of first-off samples. This does not mean that I do not support the use of thermoforming process simulation: it can certainly allow more efficient use of material and energy. You can "tweak" your design to make it more process-friendly as well. I also do not understand the term "crushed aluminum." Maybe it was meant to be "cast aluminum," which is certainly used for some tooling. Tooling materials can include plaster (for monolithic shapes and very few prototype parts, with no cooling); MDF (no cooling); LOM (laminated object modeling) straight from STL files — again, no cooling; cast resin, preferably heavily filled with aluminum powder, backed up by highly "open" structure of aluminum flakes in a small amount of resin (cooling easily incorporated in copper piping which becomes embedded in the tool structure); machined/fabricated aluminum (for fairly rectilinear designs — cooling can be machined in; cast aluminum (cooling can be sometimes pre-piped in copper tubing and cast around, or machined-in). I'm certain you could even use SLM-made (SLM = selective laser melting) aluminum with a solid shell, integral cooling lines and open cellular structure straight from STL files. Some software packages allow the automatic creation of open lattices. Larger tools could even be built up in a modular fashion to overcome SLM build envelope limitations. All tooling will need vent holes. Scale models can give some indication of the properties of larger structures, but material thickness distributions will vary, not necessarily proportionately, at the small & full-scale. For this and other fundamental reasons related to structural mechanics (not least flexural stiffness being related to the 3rd power of material thickness), it would be risky to interpret too much from small-scale versions. Twin-wall thermoforming is a useful variant, if you're looking for maximum rigidity for a given amount of material. If you can manage to cast a mold the size of a car at 5cm, without any cracks, you will be lucky. The adequacy of 5cm thickness anyway would depend upon the unsupported span and indeed shape (hemispherical being ideal, so the further you deviate from this primitive shape, the bigger the structural challenge you'll face. Do not underestimate the huge loading from "just" atmospheric pressure over such an area. Concrete, like stone and cast iron, is great in compression, but dreadful in tension. Flexural loading results in both and this are why only reinforced concrete (pre-stressed especially) is usable for members loaded perpependicularly. Your relatively small (compared to a car size, that is) panel of 60 X 120cm would be subjected to more than 7 tones! If you still want to try, consider the methodology for creating ferro-concrete boats, in which a skeletal formwork is covered in wire mesh (or "chicken wire", as it is sometimes called) to near net shape of the final mold surface. Cement is then skimmed into and over the mesh, so that you get, in effect, a reinforcing effect. I saw this done once on a hull several meters long, with many volunteers and it had to be done in one session. The typical thickness for hulls of such boats are, I believe, around 12-15mm (not cm), so that they are still able to flex slightly. Too thick and they are more prone to cracking (and the boat sinks anyway! ).